I have seriously been looking forward to this link-up all month. I don't know if it is because I'm super lazy, or a big narcissist (or maybe both...), but I love writing "currently" type of posts. I also love reading them too, because I have always been super duper nosy and interested in the details of people's lives! I am all over the map right now with coming home from vacation, getting back to work, and getting the apartment back under control. Sometimes I can get a little bit anxious about my to-do list, so I have to sit back and just evaluate where I am and think about lighter things. This is perfect for that. 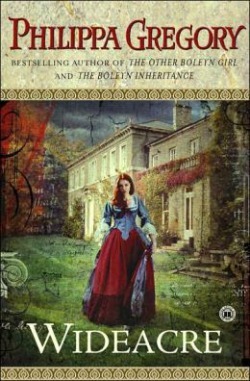 I just finished listening to The Paris Wife by Paula McLain, and last night I just started Wideacre by Philipa Gregory. Historical Fiction has always been my favorite genre, and I'm reppin' hard. I haven't really been keeping to my summer book list though, so I think I might re-evaluate how I have been doing those. Maybe keeping a running list would be better? Does anyone have a suggestion? Popsicles. I bought some Bomb-Pops to make some Bomb-Pop Champagne cocktails this weekend, and I might need to go buy an extra box. There is just something about a popsicle at the end of the day on a warm summer evening that reminds me of being a kid. Add to that the sounds of crickets chirping, and we have TONS of lightning bugs, and you have the quintessential summer. I would be wrong not to eat them. I know I'm late to the game on this song, but it plays so much on the radio! I'm obsessed with Fancy by Iggy Azalea and every single parody that comes with it. I like singing to Dave that I'm so bossy, cranky, sassy, etc. Nothing really. I took a ton of photos of our drive to Rochester last week. The drive was absolutely stunning through the mountains in Pennsylvania. Over the moon about our recent engagement! This is such a happy time, and I am so glad that we got to share the news in person last week with all of our family. Everyone has had such kind words as well as words of wisdom about marriage, and I cant say thank you enough. I am working on writing our engagement story. It was such a special moment and special day between the two of us, and I know that many years from now I will be thankful that I recorded it. We don't have any photos or anything (of course) so I will have to do my best! Thank you to Anne and Jenna for continuing this awesome link up, and I'm so glad that I'm able to participate! 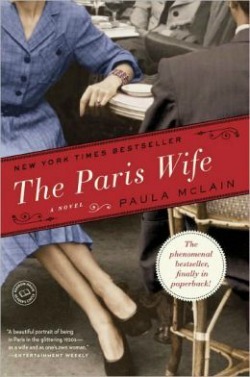 Oh, I loved the Paris Wife. I'm not always super into historical fiction, but I really enjoy it when done like that. I've been meaning to check out some Philippa Gregory though after hearing good things. My currently reading - Orphan Train - is my favorite way to read historical fiction though, with alternating chapters of present day and historical settings. It's a good one! Congrats on your engagement, and thanks for linking up! Orphan Train is on my list! If you loved the Paris Wife, you should also read The Aviator's Wife- about Anne and Charles Lindbergh. That one also switches between the past and present day. Thank you!! This is a great link up! Ahhhh, congrats on your engagement! I definitely want to hear the whole story! Being engaged is so much fun. Enjoy it!